Test your climbing skills by getting to the top of this slide. Getting down is a lot of fun. 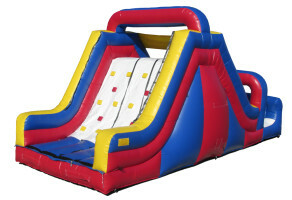 The Space Walk Rock Climb Slide takes fun to a whole new level! 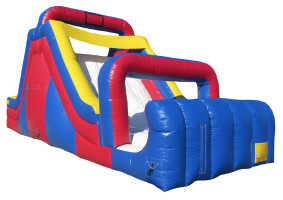 Better still - add on the mini obstacle course to the end for over 65 feet of thrilling fun!